THE police is empowered to invite any citizen for questioning while investigating crimes, hence, the need for three top lawmakers, including the president of the Nigerian Senate to submit themselves to authorities – A court has said in Abuja. “The court cannot restrain the police from carrying out their statutory function; and in this case, they have acted within the provision of Section 4 of the Police Act,’’ Justice Okon Abang of the Federal High Court, said in a judgment Thursday, as he declined a prayer by Senate President Bukola Saraki, Senators Ben Murray-Bruce and Dino Melaye. The lawmakers had asked for an order, nullifying the October 6 and 8, 2018 letters of invitation sent to them by the Nigerian police. 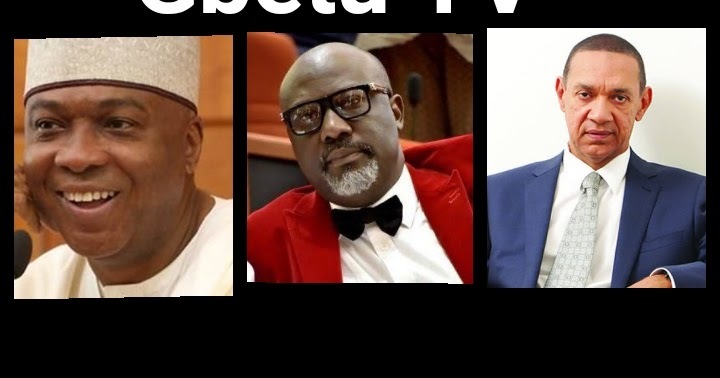 The trio – all members of the opposition Peoples Democratic Party – PDP, are being investigated for alleged breach of the public peace following their conduct during a protest in Abuja by some leaders of the PDP, hours after the party lost the governorship election in Osun State. Justice Abang, contrary to the Senators’ claim that the invitation letters from the police breached their rights, said the invitations sent to Saraki, Melaye and Murray-Bruce did not amount to harassment and intimidation. “The police acted in public and national interests. The letters of invitation dated October 6 and 8, 2018 remain valid and subsisting. The applicants shall respond and report to the police without fail,’’ the judge ruled. “It is the outcome of the applicants honoring the invitation that would determine if their rights have been violated; certainly not before honoring the invitation,” he said. The suit was dismissed for lacking in merit as N50,000 cost was awarded against the senators.